Quick, easy and nutritious soups make fantastic starters, or a lovely light lunch with some crusty bread. Soup making is a great skill to learn as there are so many variations to be explored. 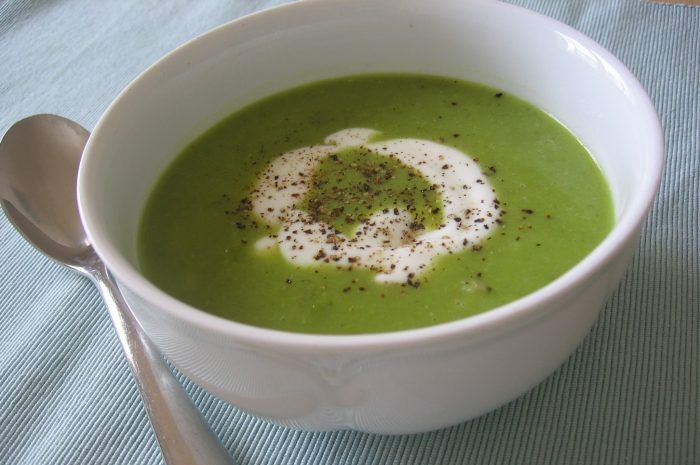 Add a handful of spinach or lettuce just before blending the soup for an even greener soup! Follow a recipe; follow food safety & hygiene rules; tidy away; use measuring spoons and cups; use a jug to measure liquids; chop using bridge/claw technique; use a hob (with adult supervision). Saucepan, wooden spoon, chopping board, knife, measuring spoons, kettle, measuring jug, hand blender. Heat the oil in a saucepan. Add the chopped onion and cook over a medium heat, stirring often. Cook until the onion is soft (but not dark in colour as this will spoil the flavour of your soup). 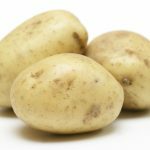 Stir in the sliced celery and cubed potatoes, and cook over a low heat for 3 minutes. Meanwhile make the vegetable stock by add the boiling water to the stock cube in a measuring jug and stirring well until the stock cube is dissolved. Add the stock to the pan and bring to the boil. Put the lid on the pan, turn down the heat and simmer for 15 minutes until the potato cubes are soft. Stir in the peas and chopped mint, turn up the heat and bring back to the boil. Simmer for 4 minutes. Stir in plain yogurt (optional), season with black pepper and heat gently until piping hot. Use a ladle to serve into mugs or soup bowls. 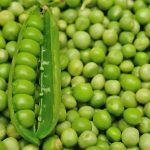 Peas are low in fat, sugar and calories but high in protein and soluble fibre (e.g. pectin). Soluble fibres are really good for keeping our heart and circulatory system healthy.